Just Fill Out is excited to announce a new blog series aimed at offering our insight into best practices for using online enrollment in child care. In this blog we’ll briefly cover some of the integration tools that we offer. At Just Fill Out, we are committed to streamlining your enrollment process, so you can systematize a highly efficient and automated process. As part of this ongoing effort, we work to integrate with popular child care center management tools and software. We are currently in the final stages of testing with our newest integration partner - Life Cubby. This is a great software program produced by child care expert and center owner, Sue Testaguzza. Described by Testaguzza as “a child’s cubby in the cloud,” Life Cubby is a full content management platform that enables teachers, caretakers, and parents to monitor a child’s progress in real-time. Life Cubby is an intuitive and convenient application that provides a comprehensive overview of what occurred in a child’s day, such as their meals, naps, lesson plans and creations. By offering mobile applications for Kindle, Google, and iOS, parents can see snapshot of their child’s experience throughout each day. Life Cubby has drastically reduced the hassle, costs, and demands of physical paperwork. As a company that focuses on digitizing your center’s enrollment paperwork, it made perfect sense for us to work with Life Cubby. By partnering with this award-winning company, your center can use information entered into Just Fill Out and automatically send it into Life Cubby. The exact answers parents type into Just Fill Out will be mirrored on your Life Cubby account. This eliminates data re-entry for administrators and mitigates the risk of missing or incorrect information. If you’re currently using Just Fill Out and haven’t looked into using Life Cubby for your center, check them out here! Tadpoles is a similar platform to Life Cubby that provides mobile and digital solutions to the demands of operating a child care center. Optimized for teachers, parents, and directors, Tadpoles offers features specific to each category of users. For example, as a child care center director, you can manage the teacher to student ratios, monitor your employees, and even send emergency notifications over text or email. In contrast, parents can receive videos and photos of their child’s daily activities. While Tadpoles has been one of our longstanding integration partners, we recently launched expanded capabilities between Just Fill Out and Tadpoles. Just Fill Out users have always been able to effortlessly export a child’s data directly into tadpoles, saving centers hours of wasted time and wages. However, as part of our Fall 2017 update, you can now transfer up to ten emergency and pickup contacts. Better yet, you can even extract enrollment dates, classrooms, and even curricula and push the data directly into Tadpoles. If you’re already a Just Fill Out user but still looking for other ways to improve safety, reduce costs, and streamline your center’s operations, we recommend looking into Tadpoles! They offer great mobile applications for iOS devices and are committed to securing your center’s sensitive information. 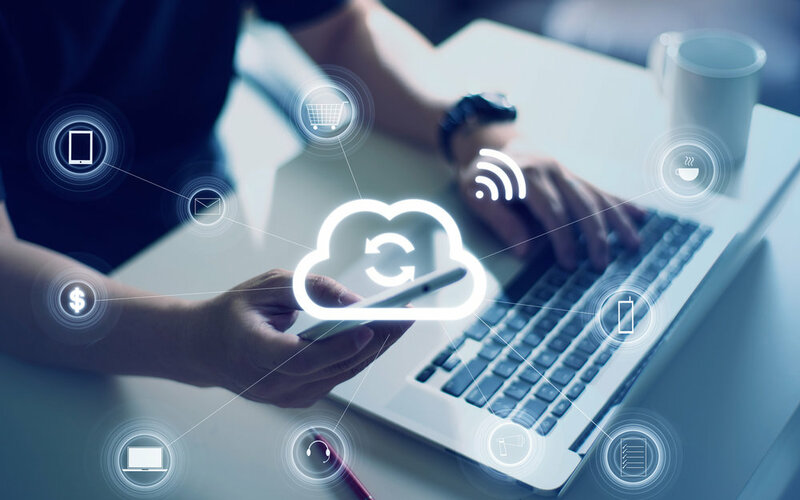 With more centers using cloud file storage to store electronic documents rather than paper files, owners and directors are now looking for ways to tie together the multiple cloud solutions they are using. By using cloud-based storage, businesses are able to securely access documents more easily, and from most anywhere. With the integration between Just Fill Out and Drive or Box, centers can send completed enrollment packages to their cloud storage with just a click. This keeps the process simple, scalable and error free. We recommend looking at your center’s needs to evaluate which cloud provider is more suitable. Both offer free space. Google Drive offers more free space, with 5 GB of free storage and Dropbox offers only 2 GB. Google Drive is known for their wider support of various file types. They support over 30 different types of files, whereas Dropbox supports less. Box allows for desktop integration, so you can view and store files as a folder on your local computer. When using Google Drive, you can only access the files via a browser window. If you’re wanting to learn more about efficient cloud practices, we’ll be writing a blog about it in the coming months. Stay tuned for more. If you would like more information or assistance on taking advantage of these integration tools, please reach out to us! We would be glad to help you get the most out of your Just Fill Out subscription.